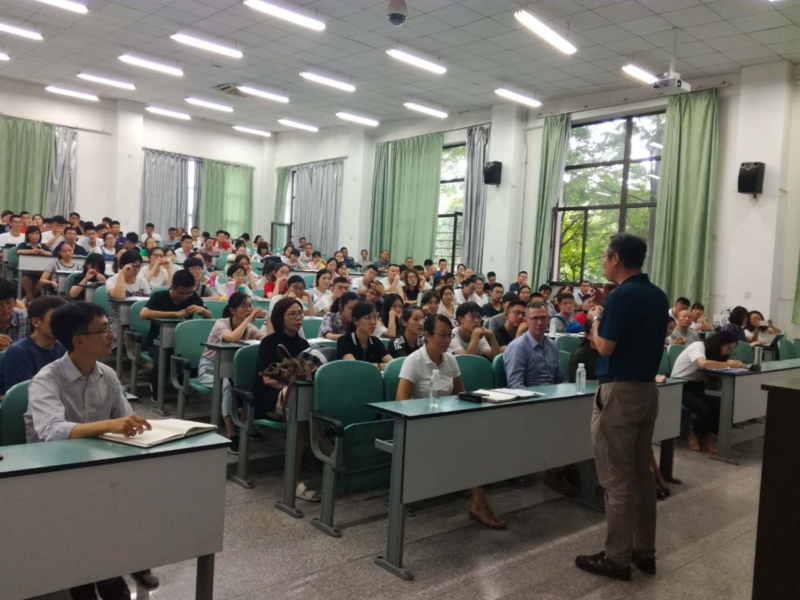 On the afternoon of August 27, 2018, Ocean University of China (hereinafter referred to as OUC) held a meeting for cohort 2018 freshmen and their parents in teaching building. Professor Guan Changlong, College of Oceanic and Atmospheric Sciences in Ocean University of China; Professor Sheng Lifang, vice president of undergraduate teaching; Li Hongtao, deputy secretary of the college’s party committee; Stephen Clowry, Regional Development Officer for Northeast Asia, University of Tasmania; and Hao Yilun, Assistant Director of Center for Global Affairs and Cooperation, Australian Education Management Group; Li Ming, program manger of OUC branch, together with college representatives and AEMG staff in OUC attended the meeting. At the beginning of the meeting, Guan Changlong,the Dean of the College of Oceanic and Atmospheric Science of OUC gave a speech, focusing on the advantages of the cooperative education program and deepening the understanding of the students and parents on the program. Professor Sheng Lifang explained in detail the history and importance of cooperative education programs. Secretary Li Hongtao made a detailed explanation of the problems that the program students should pay attention to in the course of their study and the problems of employment in the future. 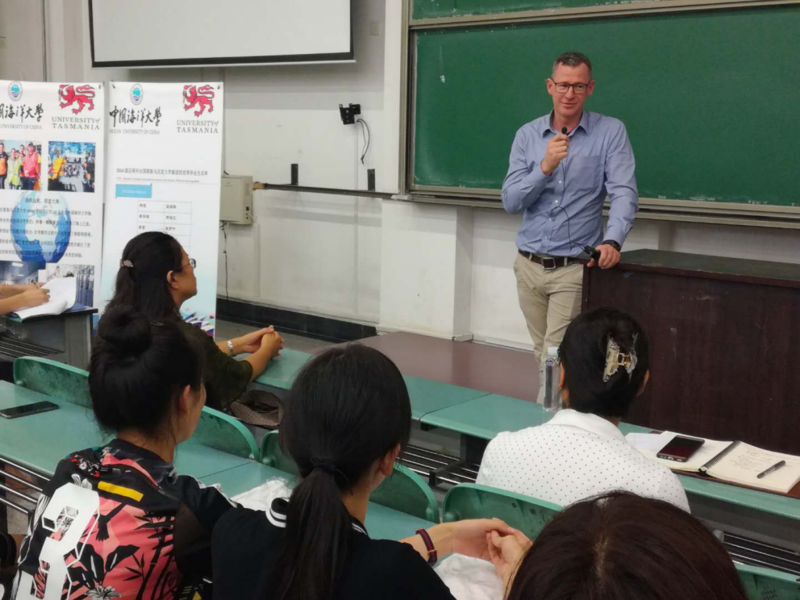 Stephen Clowry, Regional Development Officer, Northeast Asia, University of Tasmania, introduced the University of Tasmania briefly, and gave a detailed introduction to the students’ study and life concerns, so as to help them fully understand the University of Tasmania. After the meeting, Stephen Clowry and related personnel answered questions that students and their parents are concerned, and took photos after that. 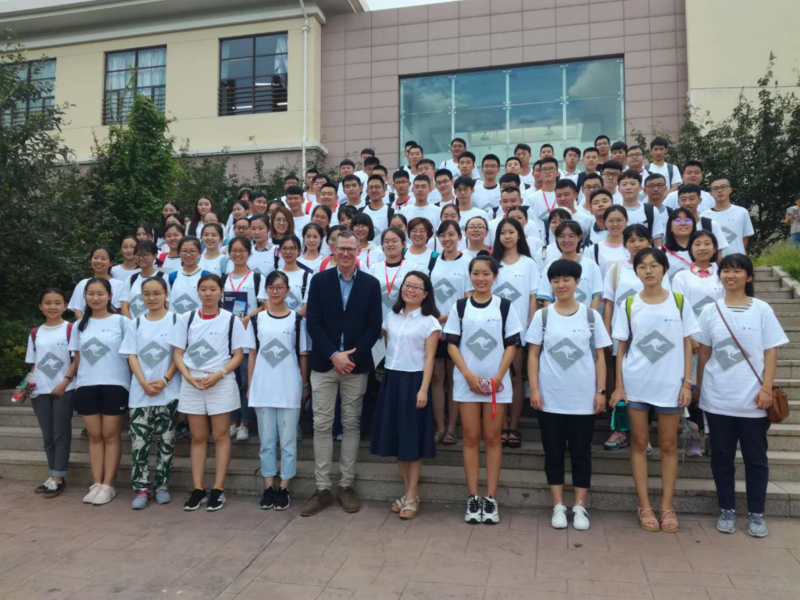 Through this meeting, the program students not only have a deeper understanding of the Sino-Australian cooperation program, but also have a clearer understanding of their study and future development. The meeting injects impetus into the new semester and lays a solid foundation for the future development of the students.